Dubai plans to boost security in the emirate with the deployment of smart cameras 'everywhere' at a cost of Dh500 million ($183.5 million) this year, a report said. The National newspaper report quoted Lt Gen Dahi Khalfan Tamim, the Chief of Dubai Police, as saying surveillance needed to be ramped up to meet the growing requirements of an expanding city. 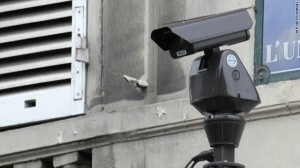 At present there are 25,000 security cameras in the emirate, and this number will increase with the installation of the smart cameras that can rotate to cover what were once "dead spots", the report said. The Police Chief has said before that 2010 will be "the year of technology" at Dubai Police. The importance of such technology in the force's work was highlighted in the investigation into the murder of the Hamas official Mahmoud al Mabhouh in his hotel room in January, he said. The police Chief said residents should not be concerned about privacy issues as more cameras are installed. It won't affect the privacy of the city's residents and visitors, he said. "The new technology would allow police officers to attach a GPS detector on cars through a special bullet, and we will then be able to follow the car by satellite," Lt Gen Tamim said.